← 3rd Sunday of Advent: Is Fruitcake Really a Gift? Today concludes the 4-part Advent sermon series exploring the theme of gifts. Hopefully, it has helped us think about gift giving as we plan for the approach of Christmas Day, arguably the biggest gift-giving day on the calendar. This morning I have here an unopened gift. I asked a few people over the past couple of weeks why they would not open a gift given to them; the answers I got were interesting. The first was – If I know what’s in there I won’t bother, especially if I don’t really care for it. Another answer was, If I don’t like the giver, I won’t be interested in anything that comes from them; it would be easy to set that gift aside…maybe even forget about it altogether. It was this third answer that hooked me, as I searched for a connection to Advent – this person ventured – well if the wrapping isn’t too promising and the occasion isn’t that a big of a deal, I really wouldn’t feel any need to open it. Gift wrapping is an essential part of gift-giving they tell me. (Which is why I personally resort to bags; any talent I have for wrapping gifts remains undiscovered.) But the purpose of going through the trouble to wrap a gift is to create some kind of appeal, I would think. The wrapping, when done expertly, is itself an invitation. It invites the recipient to extend both hands and take the gift, it signals that there’s something important inside that will satisfy the receiver. So then what are we to make of the wrapping God chose for God’s most precious gift to humanity? A seed of life sown into the body of a poor, insignificant teenager who wasn’t even married. A family lineage in an insignificant town of maybe 500 people. A birth announcement made out in fields, where the only people to hear it, were shepherds – those smelly, dirty, animal keepers at the bottom of the social heap. If wrappings are supposed to invite, then what do we make of this? There are enough unpleasant details about the records of Jesus birth that are neither pretty nor shiny. What is so appealing about an exhausted fully pregnant woman being refused basic hospitality? What’s so romantic about giving birth outdoors, in a stall surrounded by animals? And as much as we venerate the manger in pageantry and song, I, as a first-time mother, would not be flattered in the least by having to put my newborn to sleep in an animal feeding trough. And the unpleasantness continues, there is nothing tender about scores of children being murdered by a tyrant king who is hunting down one particular child, or about this child and his parents having to flee for their safety in the middle of the night to take refugee status in a foreign country. Would we call this wrapping inviting? Then this Jesus, God’s most precious gift, grows up and the wrapping doesn’t improve much. What some see at face value is a rabbi whose ministry was heralded by the town prophet/baptizer who wore weird clothes, ate strange food, and said the most provocative things. Some see a teacher whose family thought he had mental health issues. This gift, while he lived a most remarkable life, still the majority of his endorsement and following came from the masses, particularly the outcasts and scum of society – what did they know anyway? Those who were in the know (the religious authorities) were baffled by this gift, unsettled by this gift, infuriated by this gift. They said of him who does he think he is, we know him since he was in diapers; we know the family he comes from. Where does he get off talking with such authority? He came to his own people, writes John, and his own people did not accept him. (John 1:11) They were looking for a Messiah, a heroic figure, wise and powerful, who would rally them in retaliation against their oppressors, vindicate their status as the chosen people of God, and lead them into a future of peace and prosperity. What Messiah comes riding into the city on a donkey? What Messiah gets put on trial and refuses to open his mouth in defense. Tell me, what Messiah gets killed like a common criminal? Of course not…the wrapping alone would indicate the package is meaningless! Which brings us to the holy wisdom of the apostle who warns the Corinthian believers against being deceived by wrappings. The Corinthians were not much different than us when it comes to judging people. They were impressed by certain standards of significance, wisdom and power being right up there at the top. But God, the apostle reminds them, chose what is foolish in the world to shame the wise; God chose what is weak in the world to shame the strong; God chose what is low and despised in the world, things that are not, to reduce to nothing things that are, so that no one might boast in the presence of God (1 Cor. 1:27-29.) Look past the surface, he says. God’s gifts to us, and to the world, almost always come in wrappings that are uninviting or unappealing. 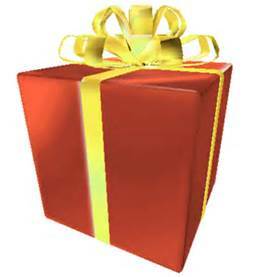 For many people, this gift of God remains unopened because they think they know what’s inside and don’t care much for him. For many others, they simply don’t trust the giver. What they know about God doesn’t square up with what’s going on in the world, so why should they trust this Jesus? For others the wrapping is too much of a deterrent; it’s hard to get past the birth story and many of the improbabilities of his life and death. Two Saturdays ago at Pete Brower’s memorial service, his son Todd, reminisced about that time when as a teenager he was ready to chuck his faith because he just couldn’t wrap his mind around the miracles and other parts of Jesus’ life story. Todd spoke of that defining moment when his wise father Pete, rather than scold him for his unbelief, said to him that the most important thing lay past all those details, it was the message. For Todd – and for his daughter with whom he had almost the same conversation years later – that was the turning point of faith – getting past the wrappings, and getting to the heart of the message. We open ourselves to God our Redeemer. The angel said to Joseph, You shall call his name Jesus, for he shall save his people from their sins. Again, this redeeming and saving nature of God points to an action God has done in the past, AND that God continues to do in the present. So that when we sin, when we fall short daily, when we drop the ball, when we mess up and over reach, when we transgress the law of love, whatever our wrongs, there is a Redeemer. So we can sing, Redeemer, come, with us abide; our hearts to thee we open wide; let us thy inner presence feel, thy grace and love in us reveal. (“Lift Up Your Heads” v.3, UMH #213)) He has not only saved, he continues to save his people from their sins. What would happen, I wonder, if we, and all who name the name of Christ, were to unwrap and open this gift of God to us in Jesus. What would happen if we were to fully open ourselves up to the creating, redeeming, and sustaining work and presence of God in our lives and in the world? What might redemption look like for refugees? What might God’s creating and sustaining presence mean in our approach to climate concerns? What might our openness to the powerful energy of God’s love do for our attitude to strangers? I pray for me and for you, and for all God’s people at this time of frenetic gift giving. May God grant us the capacity to open and be open to this gift, the capacity to receive and believe this gift; the holy capacity to share this gift with others, especially at Christmas time. Amen. This entry was posted in Ministries, Worship and tagged Advent sermon series, attitude to strangers, Christmas, gift giving, God's most precious holy gift to the world, Hallelujah, Jesus, judging people. gift wrappings, the message, unopened gifts. Bookmark the permalink.